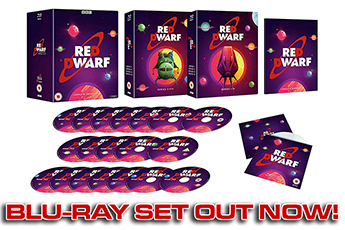 Your chance to grab spare audience tickets for new Red Dwarf! Even though the original ticket ballot happened a few months ago now, we still get people every so often asking us on Twitter whether it's possible to get hold of tickets to see Red Dwarf XI and XII being recorded. And in general, our response has had to be to reply that sadly, they're unable to do so without access to a time machine. 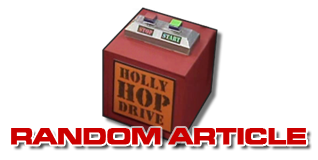 But there is actually still a small crumb of hope if you weren't successful (or indeed, entirely missed) the original ballot in the shape of Lost in TV's standby list for the show. To explain: as you may already be aware, Red Dwarf is a special case when it comes to TV audience tickets. Usually, when companies like Lost in TV give out free tickets for recordings, they "oversubscribe" - that is, give out more tickets than there are seats available. The expectation, usually born out in practice, is that when a ticket is free, some people might change their minds at the last minute (or otherwise be unavailable) and not turn up. And every empty seat at a recording is damaging to a show. 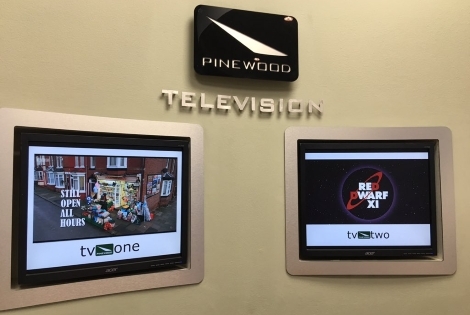 But it was a specific request from the Red Dwarf production team that every fan who won a ticket in the ballot be guaranteed a seat at the recording, rather than potentially wasting a trip to Pinewood. This means, however, that if anybody does have to drop out (and it's entirely understandable that they might - personal circumstances can change in the months and weeks between getting the ticket and actually going to the filming) then there would otherwise be an empty seat, if not for the standby list. This is why we've also requested that anyone who has a ticket but realises they can't make it should inform LITV as early as possible, so that their ticket can be reallocated. The way the standby list works is that each week, a day or so before the recording, LITV will check whether any tickets have been returned or otherwise unallocated, and they will then issue a certain number of "standby tickets". In order to get one of these, you have to have an existing account at the Lost in TV website (we suggest signing up there as soon as possible!) and keep an eye on their Twitter account, where the link to apply for the standby tickets will be posted. Those who are successful will be given a ticket that allows them entry to the audience holding area at Pinewood on the night of the recording (without one, you can't get past security!) - and on a first-come first-served basis, those who have arrived in the holding area will be allocated any available seats as they come up. So far, at each of the six 2015 recordings, everybody who has turned up on a standby ticket has ultimately ended up getting in to see the show - so although we can't guarantee that this will be the case for all six of the remaining dates, it's still very worth trying your hand! However, we should also stress that you should only apply for a standby ticket if you know you will definitely be able to travel to Pinewood on the night of the show. The standby tickets are intentionally limited in number, so if you take one but then don't turn up yourself, you're creating an empty seat as well as keeping one out of the hands of a fan who might have been able to make it! Phew. So it's complicated, but there's your possibility of getting in to see the show - and after reactions like these to the previous episodes, why wouldn't you want to? Just out of recording of #RedDwarfXI Ep. 6. No spoilers here, but the 22-year wait was worth it. My face hurts! Thanks guys. Happy Xmas!!! 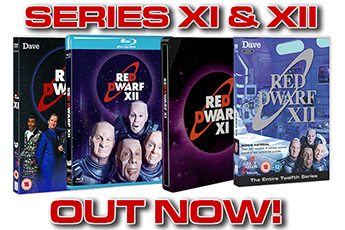 Brief #RedDwarfXI ep 6 thoughts: One of the finest eps of the last 20 years. So ambitious. Superlative guest cast. Full report tomorrow. #RedDwarfXI Think a bit of wee came out last night. It was that funny. Just seen episode 3 of #RedDwarfXI. Lots of laughs! No spoilers from me though!! Red Dwarf returns to Dave later this year!